Introducing The Amazing New Chiropractic Patient Attraction Strategy That Does All Your Practice Marketing FOR YOU, Consistently! It Attracts Every or Any Patient Type You Choose. It also Gets You More Rounds of Treatment Per Patient, Keeps Existing Patients Longer, Dramatically Lowers Your Overhead, Gets You One Referral After Another, Viciously Protects Your Online Reputation and Transforms Your Website into a ‘New Patient’ Producer. Don’t waste thousands of dollars and hundreds of hours on trying to do it all yourself…Join over 1400 Plus Chiropractors who have hardly no marketing, promotional or technological experience at all. Discover How EASY it Can be to Finally Get a Consistent Flow of New Patients, Every Month, Without Doing All the Marketing Leg Work! Complete the form for instant access. 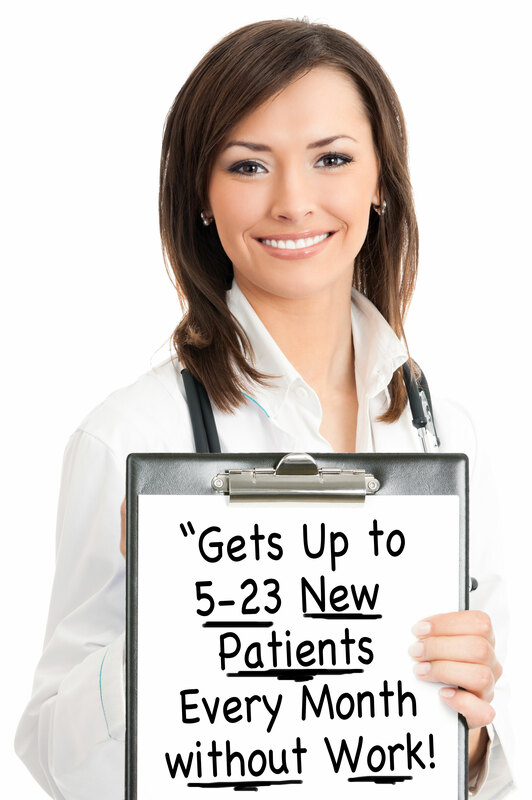 Forget every headache associated with getting and keeping new patients. Get the best practice building strategy handed to you in this FREE VIDEO. It’s never been easier and more affordable to begin building the practice of your dreams without all the work. Complete the form above and get instant access to the FREE Video that’s changed thousands of doctor’s lives, by eliminating all the hassles and frustrations of getting new patients, once and for all.